The month wrapped up with a no-fly Saturday due to low cloud. Sunday started with low cloud but the ever hopeful Sunday crew waited for the cloud to lift. It did and they clocked up 59 minutes in 5 launches. And so ended the another record breaking month. The 3rd (of 4) months with the lowest amount of time flown for the same month in previous months. Good news (?) is that it wasn’t the lowest number of launches for April. Oh for some decent weather. Time for a caption competition. Add a comment with your suggested caption. We are have a party they said – bring your own Canapés they said where’s the party? 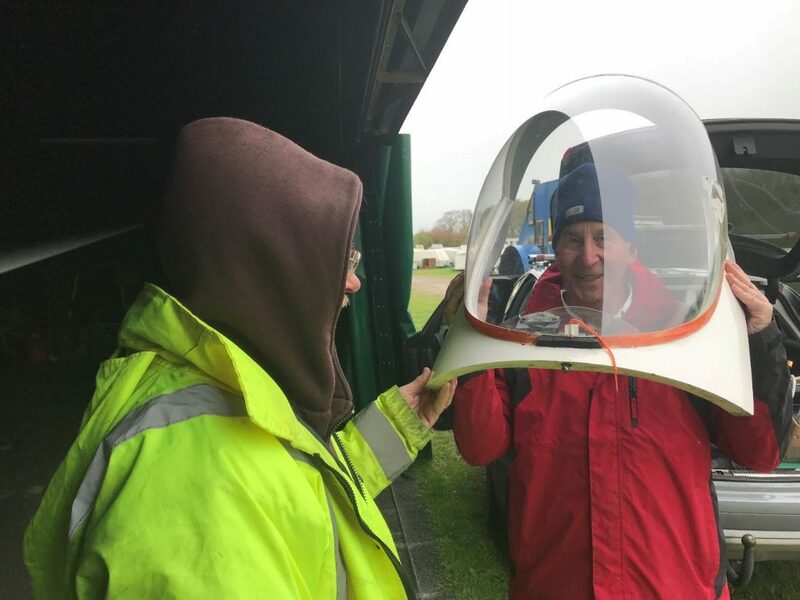 Great observation dome for the new launch point control?